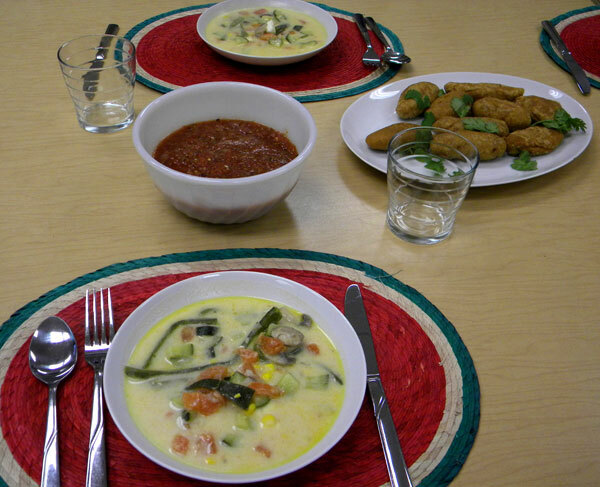 This menu is from my Mexican cooking class featuring the foods of the state of Puebla, situated in east-central Mexico. Anyone or anything from Puebla is known as ‘poblano‘, and that includes the mild chiles ‘poblanos‘, the striking ‘China Poblana‘ costume, and the best known mole of chiles & chocolate: ‘Mole poblano‘. 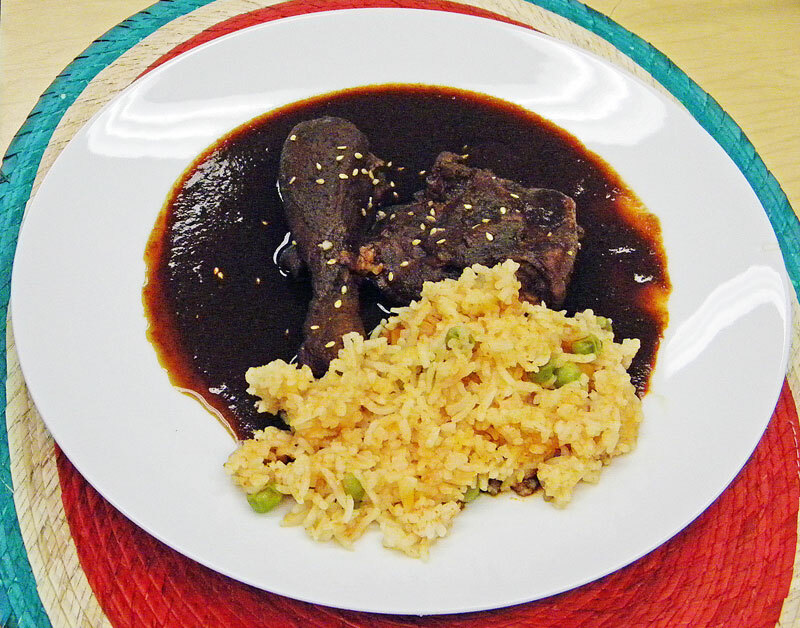 We made a ‘simple’ version of this mole in our cooking class, and if we had been doing the state up properly we should have served it in the famous Talavera pottery that comes from this region. 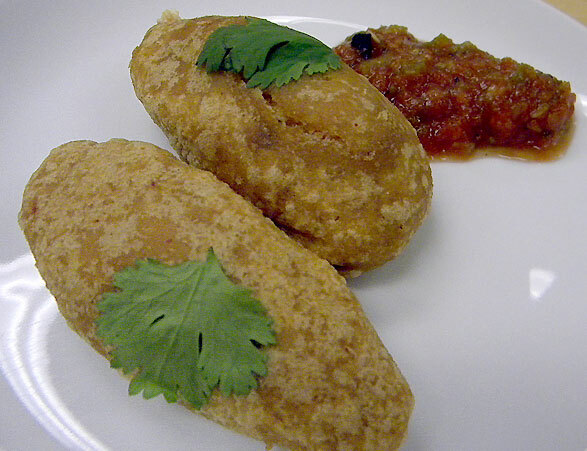 My favourite dish using chiles poblanos is ‘chiles rellenos‘ (stuffed chiles). 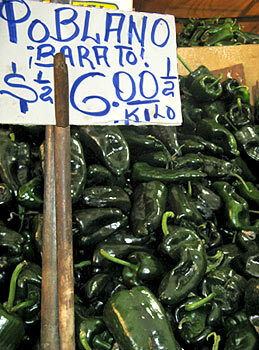 Chiles poblanos also find their way into ‘garden soups’ and other dishes where their mild but flavourful presence makes a great addition. 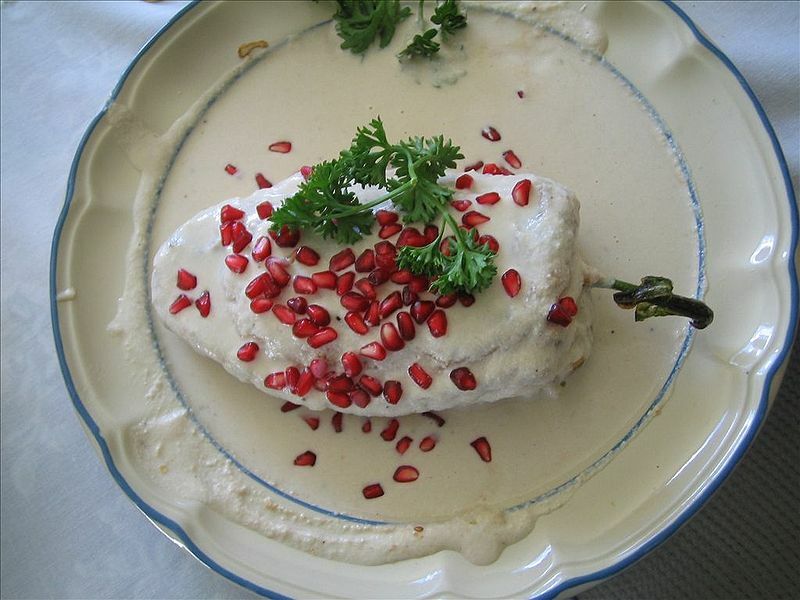 Another famous dish featuring chiles poblanos is ‘Chiles en nogada‘. 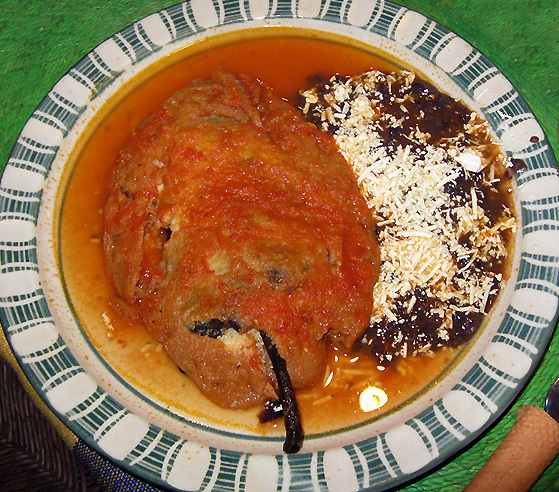 Featuring the red, green and white of the Mexican flag, this dish is usually served during the Festival of Independence celebrations in September, when the pomegranates are ripe. 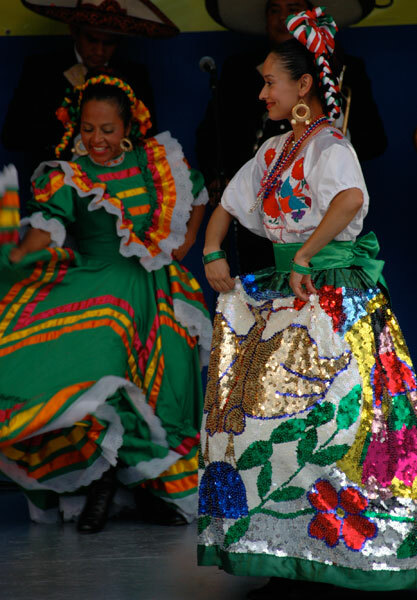 The spectacular ‘China Poblana‘ costume consists of a skirt embroidered with thousands of twinkling sequins, depicting the national emblem of Mexico, an eagle on a cactus with a snake in its beak. 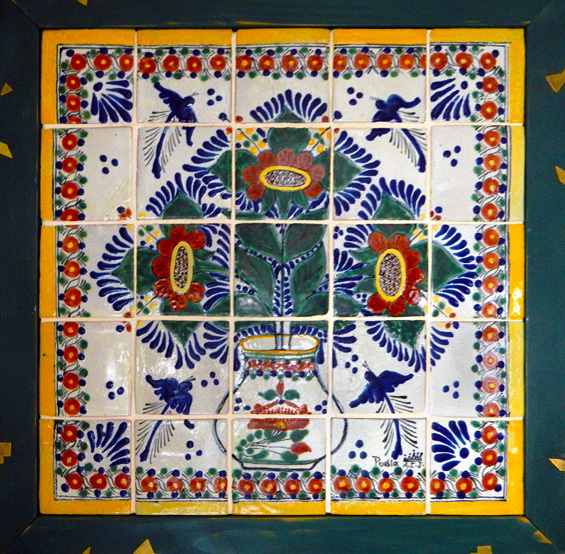 Talavera pottery is unique to the state of Puebla. It is a form of Majolica, a brilliantly coloured tin-glazed pottery that came to the Valley of Mexico from Majorca in the early 1500s. Many of the buildings in Puebla have Talavera tiles on them. 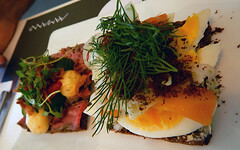 While spending time in the city of Puebla we managed to try several more specialities of the region that aren’t even listed in my cooking class menu. 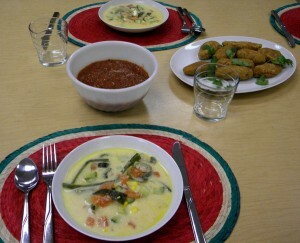 My favourite dish of the evening was the ‘sopa poblano‘, a creamy soup full of vegetables to die for (How we made it). 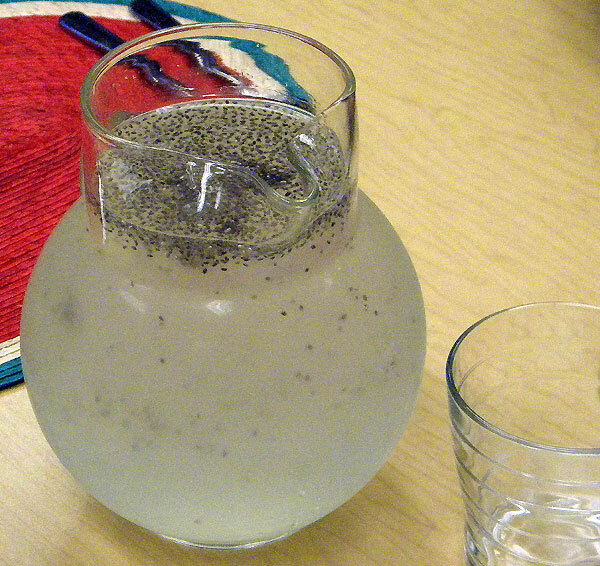 For dipping the molotes, we made a ‘salsa martajada‘, a charred jalapeño and tomato salsa that was prepared in a mojalcate. 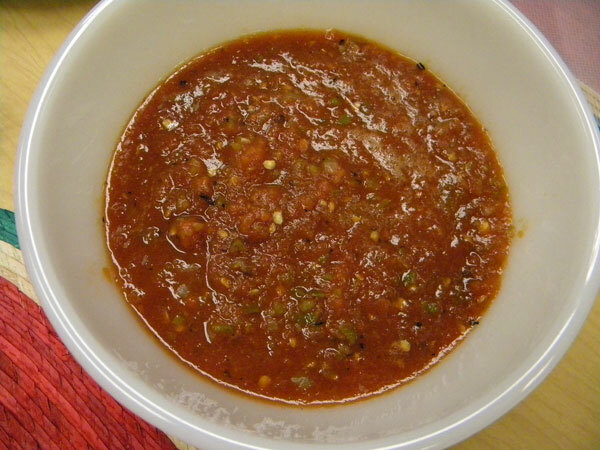 As most salsas have similar ingredients I can’t quite figure out why each salsa has such a unique flavour but this one does, and it’s one of my favourites.